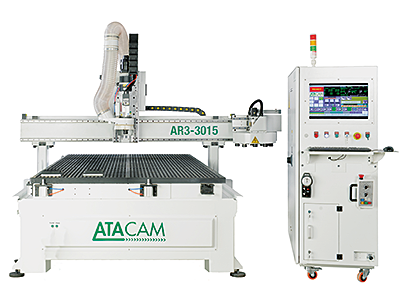 This new range of affordable ATACAM CNC Routers from ATA Engineering offers the same high quality build that you come to expect from a company that has been supplying CNC’s for over 20 years along with the support and technical back up. 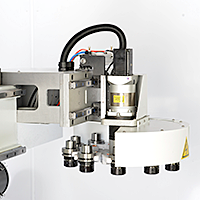 Standard Features: HSD HSK Spindles, Rotary ATC, Location Pins, Tool Digitizer. 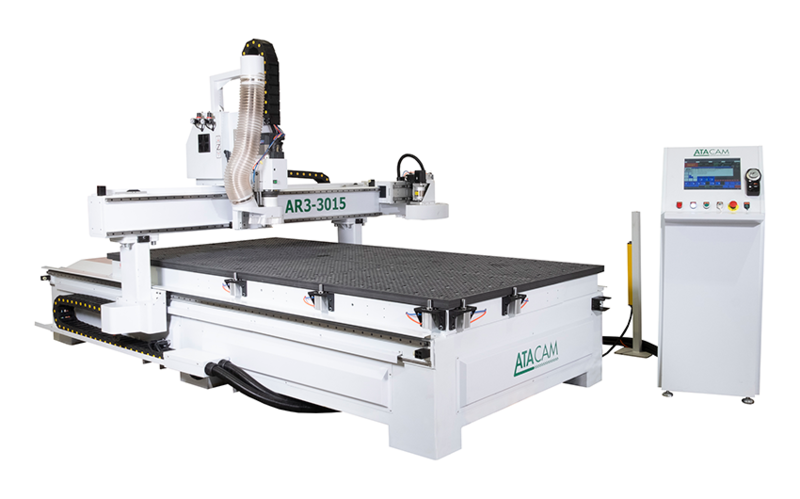 3 and 4 Axis machines in stock. Call us today to arrange a Demonstration! 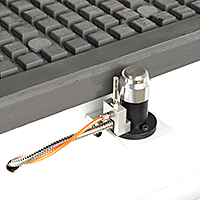 Z movement Anti Backlash Ball screw, 200mm Gantry Clearance. 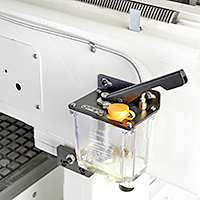 Lubrication System Manual Central Lubrication, Automatic Option Available. Options Drill Bank, Side and Vertical Drilling, Aggregate Heads, Rotary 4th Axis, Auto Infeed/Outfeed. 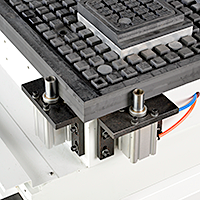 Bespoke Machines designed and built to customer requirements.